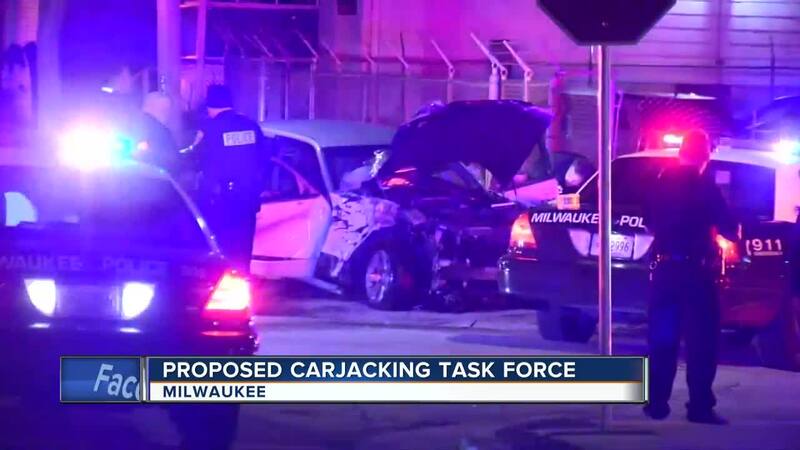 Milwaukee city leaders are hoping to form a task force to tackle Milwaukee County's carjacking problem. Several aldermen who want this special task force applaud the Milwaukee Police Department's efforts of chasing stolen vehicles, but they believe much more needs to be done to take this crisis. "People are really fed up," said alderman Michael Murphy. Murphy said carjackings are the number one issue city leaders hear about on a daily basis. Whether constituents fear getting on the roads or have been victims themselves, Murphy believes the crisis is worthy of its own task force. "Whether that's enforcement, education, traffic engineering changes, we'd want to look at a plethora of ideas to see what would work and what wouldn't," he said. Milwaukee police credit a shift the department's chase policy for a decrease in carjackings over the past two years, but Murphy wants to see more preventative measures, possibly starting in the classroom. "To make sure at an early age, when you're doing joyriding, there's real consequences," he said. "Do I think youth all the way understand the consequences of their actions? I don't," said Running Rebels co-executive director Dawn Barnett. Running Rebels is a youth organization that, in part, helps convicted carjackers make better choices in the future. "We don't want to wait until we get a young person and they're already in trouble," she said. Barnett believes educating the youth of the consequences of stealing vehicles is an answer, but not the only one. "The youth definitely know this is a problem in the community," she said. This county-wide task force will go to the full common council for approval. Those behind the idea hope to have it up and running by next month.